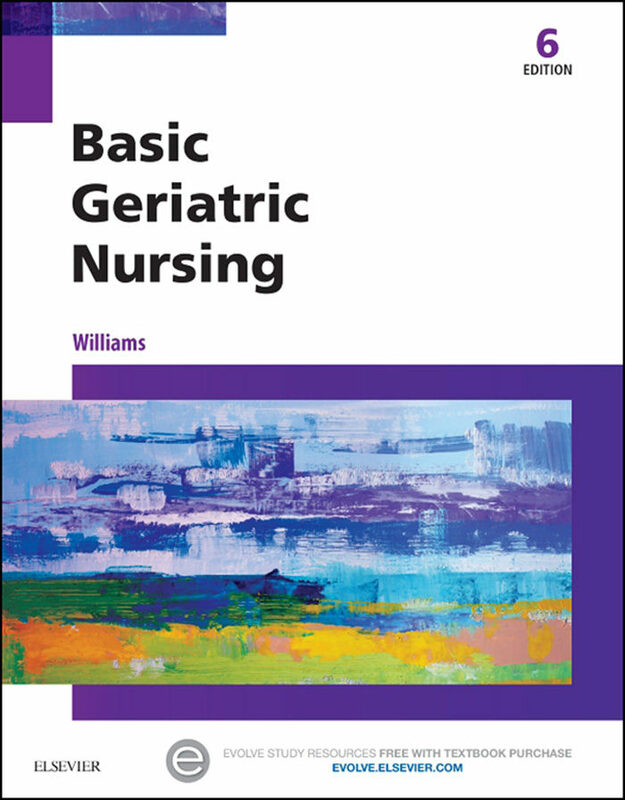 Prepare for a successful career in caring for geriatric populations with Williams’ Basic Geriatric Nursing, 6th Edition. This easy-to-read bestseller includes the latest information on health care policy and insurance practices, and presents the theories and concepts of aging and appropriate nursing interventions with an emphasis on health promotion. Part of the popular LPN/LVN Threads series, it provides opportunities for enhanced learning with additional figures, an interactive new Study Guide on Evolve, and real-world clinical scenarios that help you apply concepts to practice.Complete coverage of key topics includes baby boomers and the impact of their aging on the health care system, therapeutic communication, cultural considerations, spiritual influences, evidence-based practice in geriatric nursing, and elder abuse, restraints, and ethical and legal issues in end-of-life care.Updated discussion of issues and trends includes demographic factors and economic, social, cultural, and family influences.Get Ready for the NCLEX® Examination! section at the end of each chapter includes key points along with new Review Questions for the NCLEX examination and critical thinking which may be used for individual, small group, or classroom review.UNIQUE! Streamlined coverage of nutrition and fluid balance integrates these essential topics.Delegation, leadership, and management content integrated throughout.Nursing Process sections provide a framework for the discussion of the nursing care of the elderly patient as related to specific disorders.Nursing Care Plans with critical thinking questions help in understanding how a care plan is developed, how to evaluate care of a patient, and how to apply knowledge to clinical scenarios.LPN/LVN Threads make learning easier, featuring an appropriate reading level, key terms with phonetic pronunciations and text page references, chapter objectives, special features boxes, and full-color art, photographs, and design.UNIQUE! Complementary and Alternative Therapies boxes address specific therapies commonly used by the geriatric population for health promotion and pain relief.Health Promotion boxes highlight health promotion, disease prevention, and age-specific interventions.Home Health Considerations boxes provide information on home health care for the older adult.Coordinated Care boxes address such topics as restraints, elder abuse, and end-of-life care as related to responsibilities of nursing assistants and other health care workers who are supervised by LPN/LVNs.Clinical Situation boxes present patient scenarios with lessons for appropriate nursing care and patient sensitivity.Critical Thinking boxes help you to assimilate and synthesize information.10th grade reading level makes learning easier. .
Otros ebooks de Patricia A. Williams.